Right before The Call takes a dive into its third act abyss, the main character, a 911 phone operator, is told by her supervisor to go home. She was just disconnected from a kidnapped teenager (Abigail Breslin), but her job does not allow her to have resolution. That’s for the officers that respond, and she just gets to see how it unfolds on the news. Many reviews of this taut, often exceptional thriller have condemned the take-no-prisoners absurdity of the last 20 or so minutes. 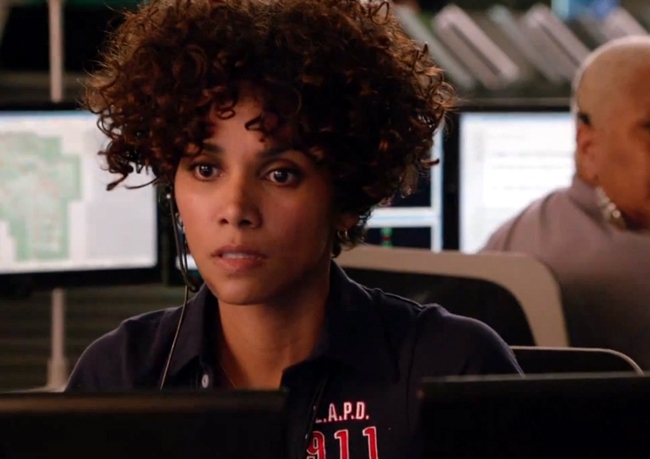 Instead of the safe if chaotic confines of the 911 call center, Jordan Turner (Halle Berry and her hair) becomes a sort of vigilante and takes it upon herself to stop the serial killer who she creepily encounters on the other end of the line twice before being disconnected. The ending is implausible, to be sure, but it turns the movie into a feminist parable, one where neither woman becomes a victim and show no signs of sainthood when they finally do incapacitate the killer (Michael Eklund). Knowing the ending of The Call doesn’t ruin it. Despite the somewhat radical undertones of its conclusion, this is still a fairly mainstream release, and its structure is fairly straightforward. Director Brad Wilson keeps the tension ratcheted nearly the entire way through, keeping the focus mostly on Turner and the Casey (Breslin), the teen abducted from a Los Angeles mall’s parking structure. This was the right choice, as both Berry and Breslin are effective, engaging performers to watch. The claustrophobic close-ups follow Casey even when she’s not in the trunk, suggesting her total imprisonment while keeping out attention on her instead of the killer. The killer, played in a generically creepy way by Michael Eklund, is often a main character or point of interest in movies like this. Part of what lends the movie more credit, though, is that unlike the news broadcasts that would follow a case like this, it is more in tune with the victims than the perpetrators. There are scenes that suggest the true horror of what he does, but this is not a movie that pauses to give us a bloody payoff. At times the movie stumbles over its own good intentions, though. The killer, named Michael Foster, kills in broad daylight as cars whiz past him and we’re only shown one person actually call in. Of course, this isn’t a thriller where the plausibility of its premise is a major concern, but it takes itself seriously enough that things like that stick out. However, as a whole it is a competently crafted and quite sinister movie with more than just cheap thrills and a high body count. This entry was posted in Reviews and tagged 2013 movies, Abigail Breslin, Brad Wilson, Halle Berry, Michael Eklund, Morris Chestnut, The Call by matterspamer. Bookmark the permalink.